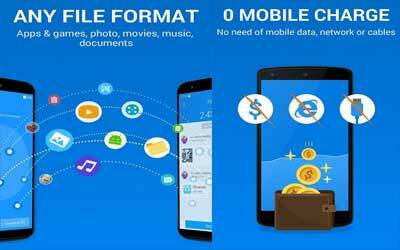 Previous version SHAREit 3.9.2 apk for Android will help you to downgrade or install older app easily. This is one of the best Tools apps. The SHARE it for android is indeed different with others. For sharing files, data, music, and many others you do not need to use any kinds of Bluetooth anymore, because this kind of application is 300 time faster than using Bluetooth. Besides, for using this, you also do not need the internet connection, it is so free and easy. You will be able to share all of your happy moment, melodious music’s to your dearest people easily. How to install SHAREit – File Transfer, Share? To installing this kind of application is also very easy in which you just need to download it. Download and install it. You do not need to use any cable data, USB, internet and many others to share all of your data because this application will help you to transfer all file from old phone to the new one easily. Best app for sharing anything at amazing speed. Literally anything!